Our staff, our residents and our volunteers are your friends and neighbors. 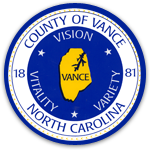 We are all part of Vance County and we believe that what touches one of us touches all of us. Therefore, not only do we strive to make Kerr Lake Nursing and Rehabilitation Center a safe, comfortable and caring place to live, we work hard to bring those qualities to the surrounding community. Our staff are committed to making this community a better place to live. That is why you will find us volunteering at the local schools, participating on local boards and lending our time and energy to many volunteer efforts.